This interview-based case study describes current portal project practices based on a diverse set of projects, including B2B, B2C, B2E, E2E and mobile. 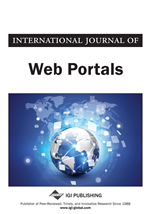 Since 2000 portals have increased their functionality, and widespread availability of portal software has encouraged organisations to install and experiment with them. Portals are adding value by drawing applications together, particularly through search, and assembling existing tools for a user in a way that enhances their value. Operational challenges include support and security. Success has depended on beginning with support and security frameworks based on similar industry experience. Performance has been the key project success factor, and project sponsors are beginning to understand non-functional requirements: portability, scalability, availability, reliability and security. SOA principles are only partially applied, due to investment in existing systems. A recent trend is Microsoft SharePoint’s rapid market growth through ease of implementation.